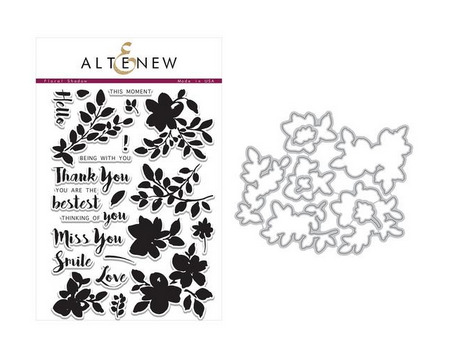 This is a bundle of Floral Shadow stamp set and coordinating die set. The shadow images in this set are perfect for background stamping, and for techniques like watercoloring and embossing. This set also has some everyday sentiments in an oversized modern font, and along with the large images you can make beautiful cards or scrapbook layouts in no time!